My oh my! Doesn't Chiara look like Elsa of Frozen?!?!? 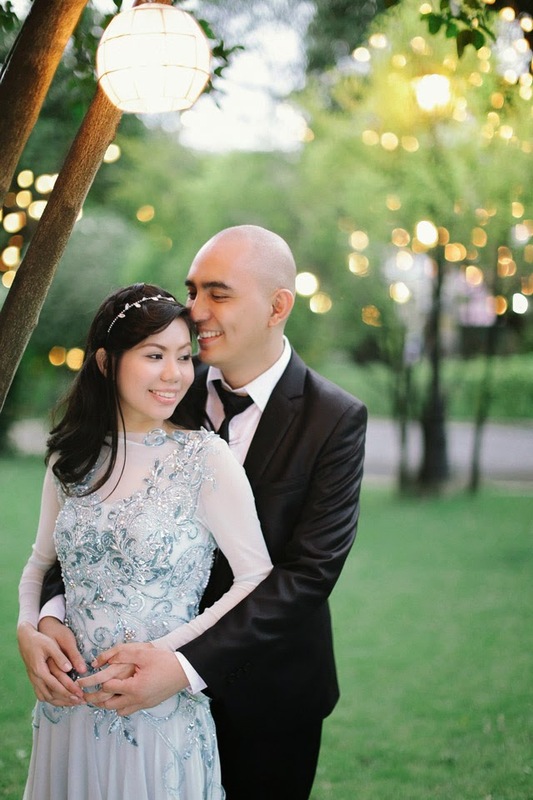 Her blue bridal gown is just proof that even non-white gowns can make you feel like a magical princess! I love Chiara's style. 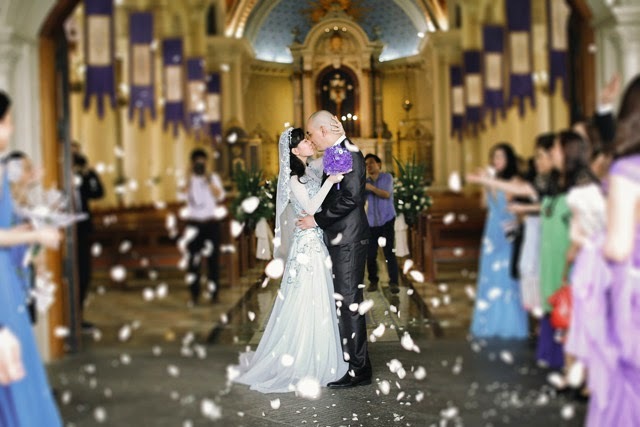 Not only was her gown, super blue and super fab, but she also wore a mantilla veil--something that we highly recommended in our old post entitled "How To Fight The Veil" (CLICK HERE TO BACKTRACK!). Chiara's happiness, confidence, and elation really showed in all of her photos. That's how liberating it is to wear a gown that is in your favorite color. I'm not saying that brides in white aren't feeling the same--all I'm saying is, there's a different "high" rebellious brides who wear colored gowns can really attest to. Congratulations on your wedding, Chiara! Best wishes to you and Michael! Amazing gown!! 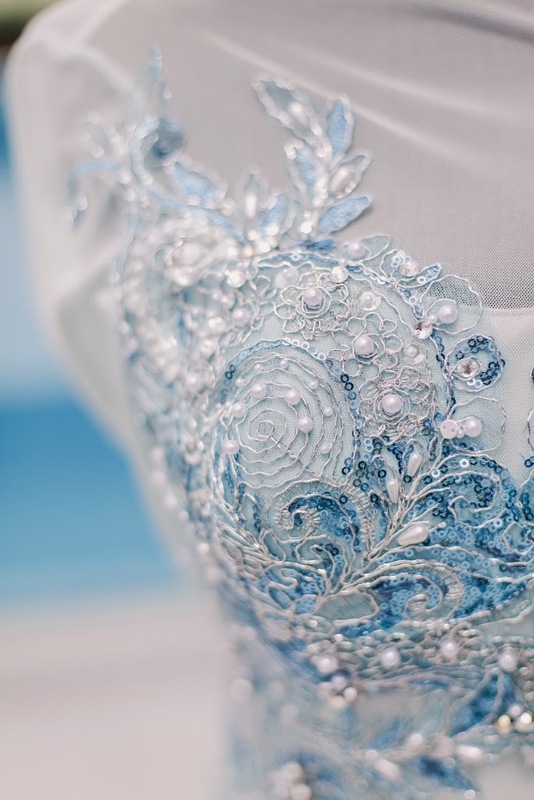 Most attracting part in this gown is the color...Silver blue..I love it..